After her mother's death, Lydia was sent to live with a sister and trained to be a teacher. The years she spent with her sister in Maine also introduced her to an impoverished community of Abenaki and Penobscot Indians, awakening in her an awareness of the dire situation faced by Native American peoples. After a brief stint at teaching, she moved back to Massachusetts. At age nineteen, she renamed herself "Maria" (she didn't like the name Lydia) and began her real education with her brother, who introduced her Homer and Milton and challenged her to write. Her first novel, Hobomak: A Tale of Early Times, was completed in six weeks and published in 1824--set in Salem, it told the story of a young Puritan woman who scandalized her family and community by marrying an Indian, with whom she had a child. (Double scandal--the novel's heroine later married a second time, an Episcopalian!) The novel's themes, which challenged racial and religious views, ensured its success and Francis's celebrity. Lydia Maria Francis was just twenty-two. 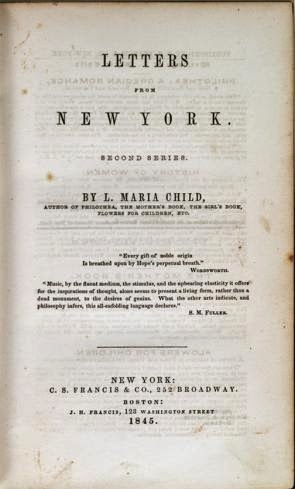 In 1824 Maria Francis also opened a school and, two years later, began publication of a bi-monthly magazine for children, Juvenile Miscellany, the first periodical for children in the United States. She would continue to write and publish--novels, biographies, poetry, guides to housekeeping and child-rearing, and histories--throughout her lifetime. In 1828 she married David Lee Child, a man whose political and social activism corresponded with and extended her own. By 1831 she was involved with the abolition movement. Perhaps her most significant work was published in 1833, An Appeal in Favor of That Class of Americans Called Africans, a history of slavery in the United States. She joined the American Anti-Slavery Society, working alongside Lucretia Mott, and in 1840 became the editor of the National Anti-Slavery Standard. In her anti-slavery fiction, like the novel The Quadroons, published in 1842, ten years before Uncle Tom's Cabin, she exposed the realities of slavery to those who did not read anti-slavery pamphlets or anti-slavery periodicals. 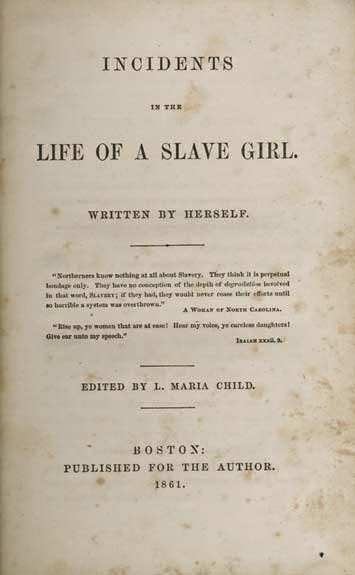 Child also edited Harriet Jacobs's Incidents in the Life of a Slave Girl, first published in 1861. Nor did she forget her interest in the plight of the American Indians. She detailed white atrocities against native populations in The First Settlers of New-England: or, Conquest of the Pequods, Narragansets and Pokanokets: As Related by a Mother to Her Children, and Designed for the Instruction of Youth (1829) and, still working on the issue forty years later, An Appeal for the Indians (1868). Her work in the abolition movement also involved her in the struggle for women's rights. Although she published a number of books for women that focused on domesticity (she published The Frugal Housewife the year after she married), she also wrote to support women's equality. That the present position of women in society is the result of physical force is obvious enough; whosoever doubts it, let her reflect why she is afraid to go out in the evening without the protection of a man. What constitutes the danger of aggression? Superior physical strength, uncontrolled by the moral sentiments. If physical strength were in complete subjection to moral influence, there would be no need of outward protection. That animal instinct and brute force now govern the world, is painfully apparent in the condition of women everywhere. . . . This sort of politeness to women is what men call gallantry--an odious word to every sensible woman because she sees that it is merely the flimsy veil which foppery throws over sensuality to conceal its grossness. So far is it from indicating sincere esteem and affection for women, that the profligacy of a nation may, in general, be fairly measured by its gallantry. This taking away rights and condescending to grant privileges is an old trick of the physical force principle, and with the immense majority, who only look on the surface of things, this mask effectually disguises an ugliness which would otherwise be abhorred. The most inveterate slaveholders are probably those who take most pride in dressing their household servants handsomely and who would be most ashamed to have the name of being unnecessarily cruel. And profligates, who form the lowest and most sensual estimate of women, are the very ones to treat them with an excess of outward deference. . . . Along with Lucretia Mott, she knew and worked with women we have met before, including Angelina Grimké and Margaret Fuller. Many of Child's works are available online through Project Gutenberg and the Internet Archive. 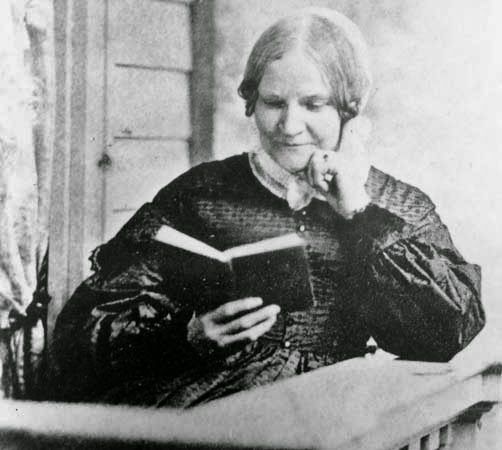 There is a detailed biographical essay posted on the American National Biography Online website and another at The Poetry Foundation website--Deborah Clifford's biography is followed by an extended bibliography of primary sources and a great list of material for further reading, including biographies of Lydia Maria Child. *Written for Thanksgiving and published in her 1844 collection of children's verse, Flowers for Children, the poem was set to music by an unknown composer and is now commonly regarded as a Christmas song.